The same is true with photovoltaics. However, with battery storage the usefulness continues beyond its initial operating time. 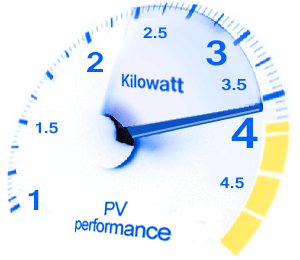 A system will generate approximately 750 kWh/year per kW installed. Thus, a simple 1.0 kW system will provide around 900 kWh per year, and a 5.0 kW system produce's about 4,500 kWh. Compare this figure to the cost of installing PV.